Because of its relative cost, market acceptance of biofuels seems to be the primary problem. Additional to this would be the fact that the technology in processing of biofuels has yet to be perfected. But this does not defeat the fact that biofuel is more environment friendly that regular fossil fuel. 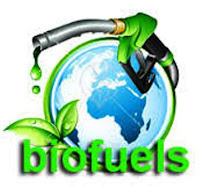 However, this may also put pressure on our food chain and food security, so further research and development is needed to ascertain the viability of biofuels.